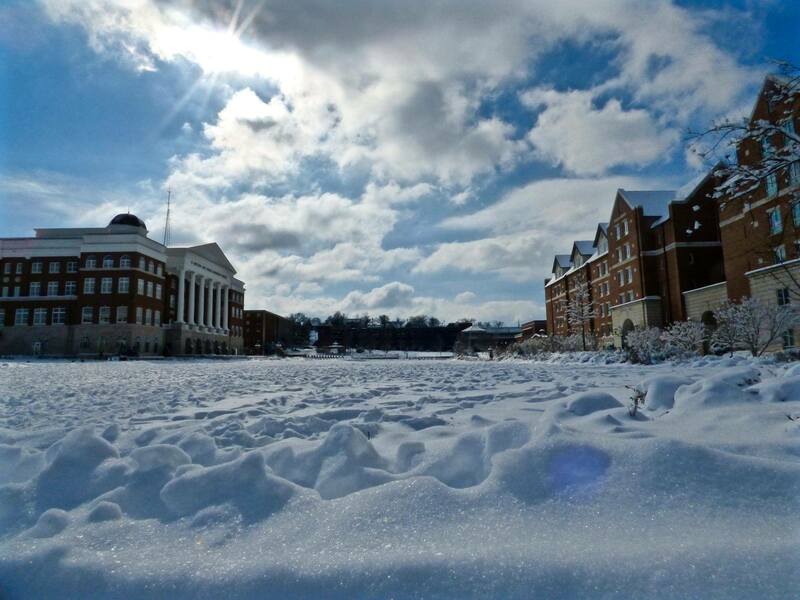 Belmont University will be open Tuesday, February 9, 2016, and all classes and activities are scheduled to proceed as scheduled. Bernard Avenue will be closed this morning, along with the sixth floor entrance to the Curb Garage from Bernard due to slick spots on that hill, but the Soccer Field Drive access to the Curb Garage from 15th Avenue will be open. Because weather and road conditions vary greatly within our region, everyone is urged to use individual discretion when making the decision to travel to campus. Please monitor local media regarding conditions in your area.